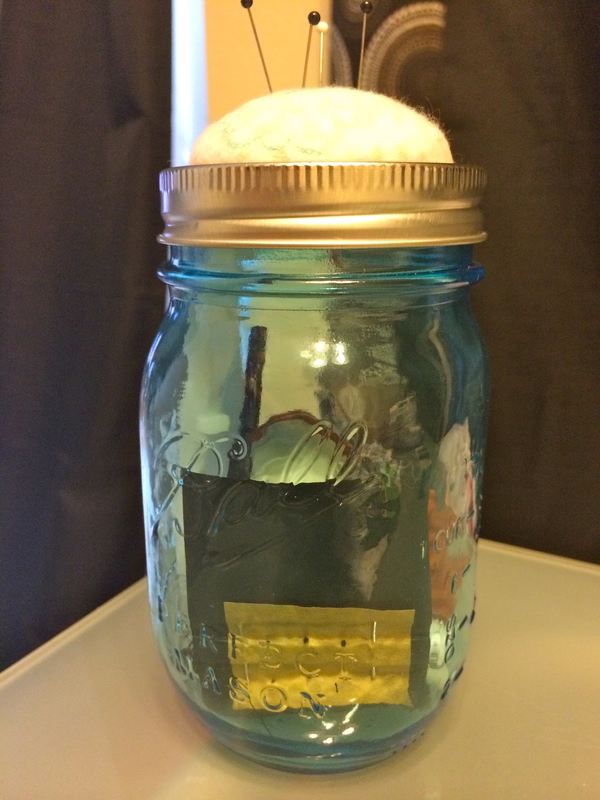 I like mason jars and pincushions. 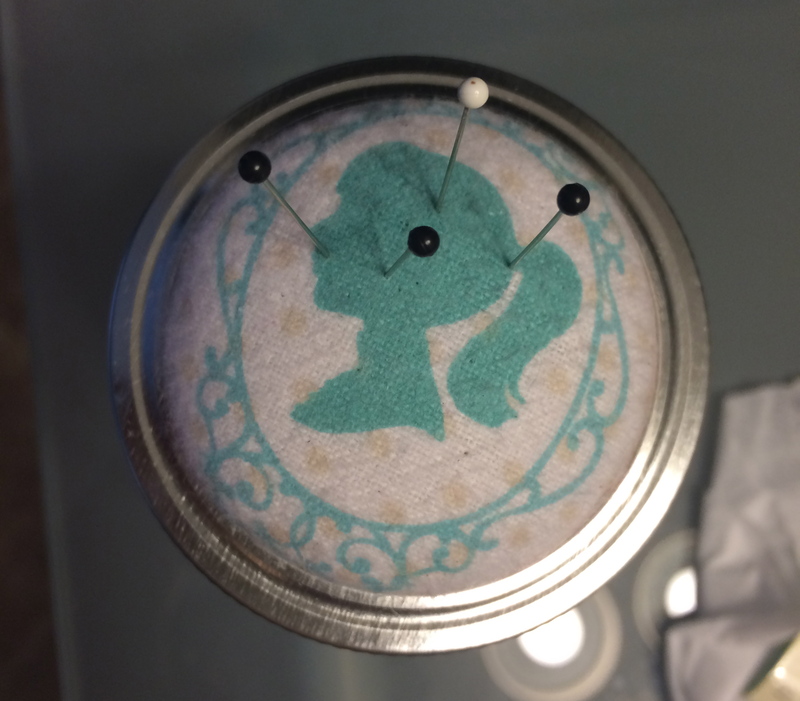 This pincushion sewing kit is too cute and super easy to make. Let me show you how! Notions to fill jar with! 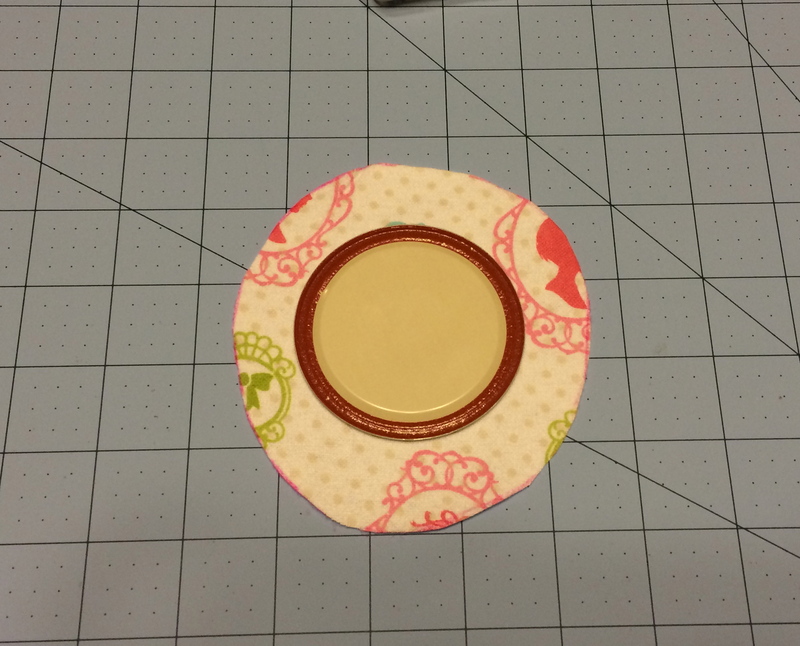 Using the lid as a guide, I eyeballed about an inch and a half away and traced around the perimeter. It doesn’t have to be perfect! 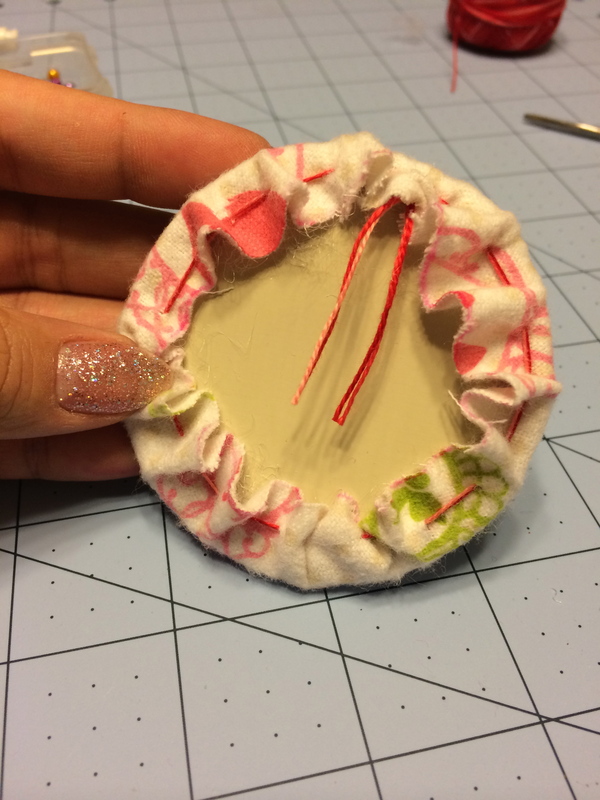 Make a long and loose running stitch on the inside edge of the fabric. 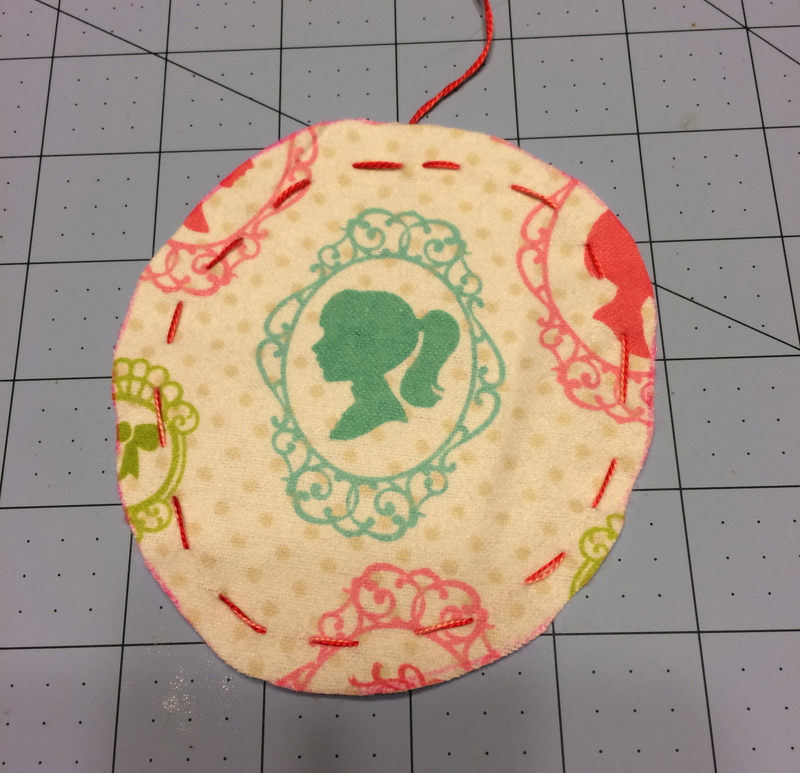 Gently gather the thread and fill with stuffing. 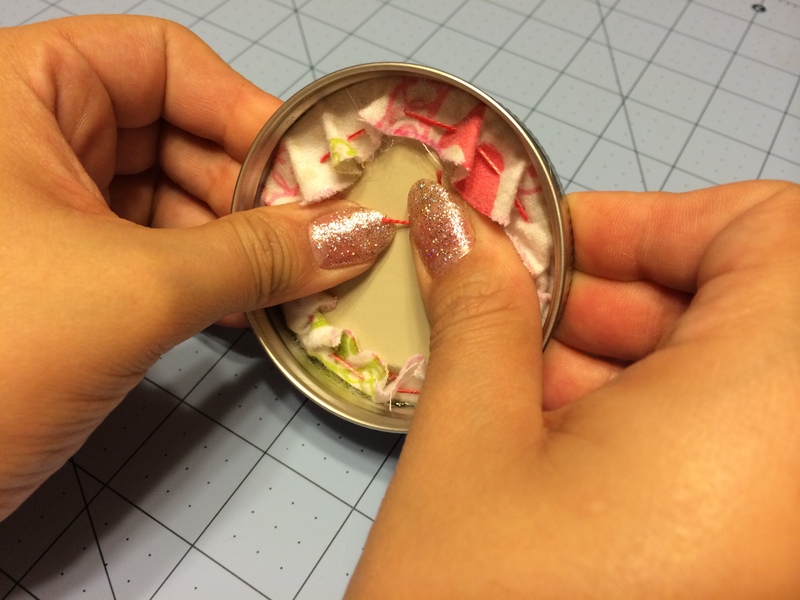 Before tying it off, apply hot glue under the fabric. 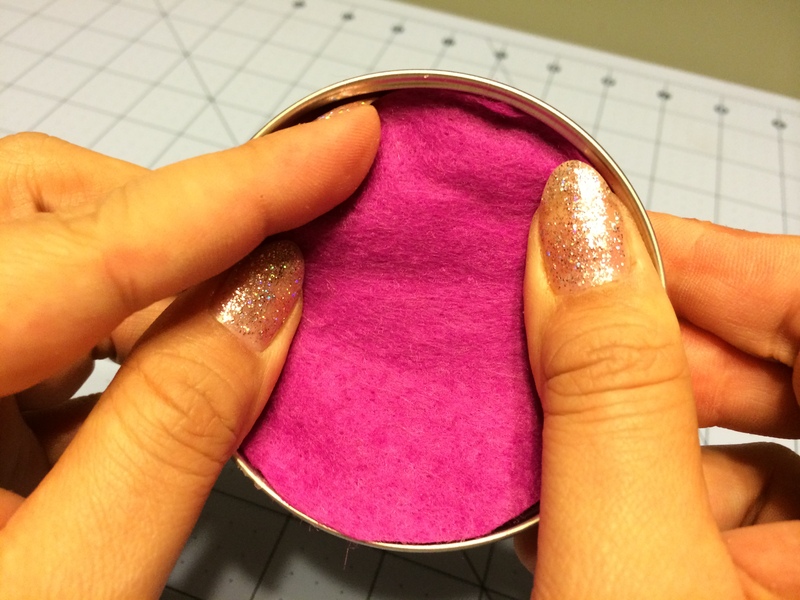 Trace the felt using the inside of the lid, cut and glue to the exposed gathered fabric. Fill with notions and goodies and you’re all set to give it as a gift or keep it for yourself!